Loyalty programs are funny things. At the basic level, they reward repeat visits (or extreme consumption) with something free – in a coffee shop, usually a free drink. Lots of coffee shops have a loyalty program, and in general they’re all quite similar. Buy a certain number of lattes, and get a free latte. This encourages expenditure, but it doesn’t necessarily inspire loyalty. Or at least, the kind of loyalty we like. The dedication of our customers means a lot to us here at Mighty Good Coffee. There are people who have been visiting us, and drinking our coffee, from the very beginning – word-of-mouth advocacy has long been our principal method of advertizing. We are forever grateful to those who make stopping in for their coffee a daily ritual. So we’re trying something different. Something that will hopefully expand your coffee boundaries and take you on a tasting journey. Welcome to Coffee With Benefits, a loyalty program with a difference. 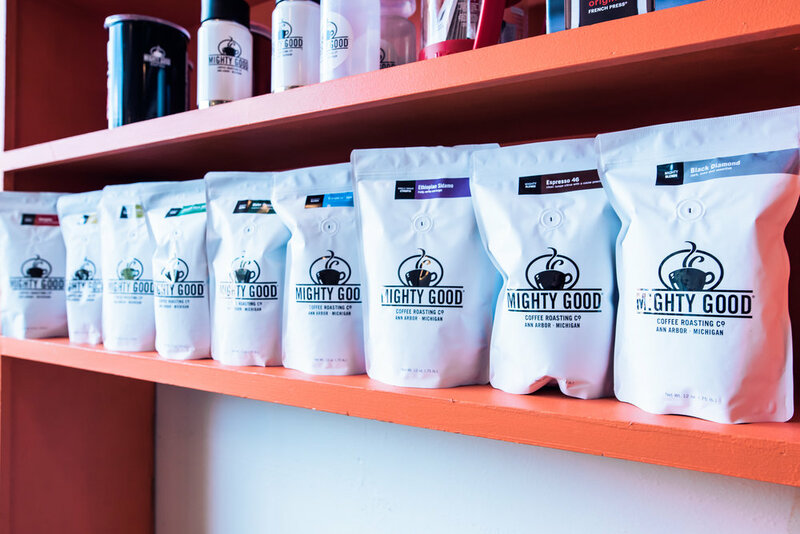 Mighty Good is, at its core, a coffee roasting company. At any one time we have upwards of 10 different coffees on offer, from reliable favorites to one-off, exciting, micro-lot wonders. We want people to explore our coffee selection, to delve into the diversity and mysteriousness of this most wondrous of drinks. There is a genuinely endless variety of coffees to be sampled from all over the world, and we source, roast and bag as many as we can find. There’s a joy in discovering something new, finding a hidden gem – the first taste of a natural-processed Ethiopia Sidamo, all blueberry-muffin sweetness, can be transformative. We want to spark that joy with this program, allowing the drinker to sample the tastes and textures of each individual coffee, and be rewarded for doing so. Therefore, we have created a different kind of loyalty program, one that rewards exploration, curiosity and interaction. Here’s how it works: pick up a punch card at any of our locations; then try 10 different coffees – a single origin Guatemala, an Almighty blend, even a shot of Espresso #46 – and we’ll check them off your card. Once it’s filled up, hand it back in to us and we’ll give you an exclusive, one-of-a-kind Coffee With Benefits camping mug. All you have to do is drink coffee, perhaps try something you wouldn’t normally drink, and we’ll do the rest. 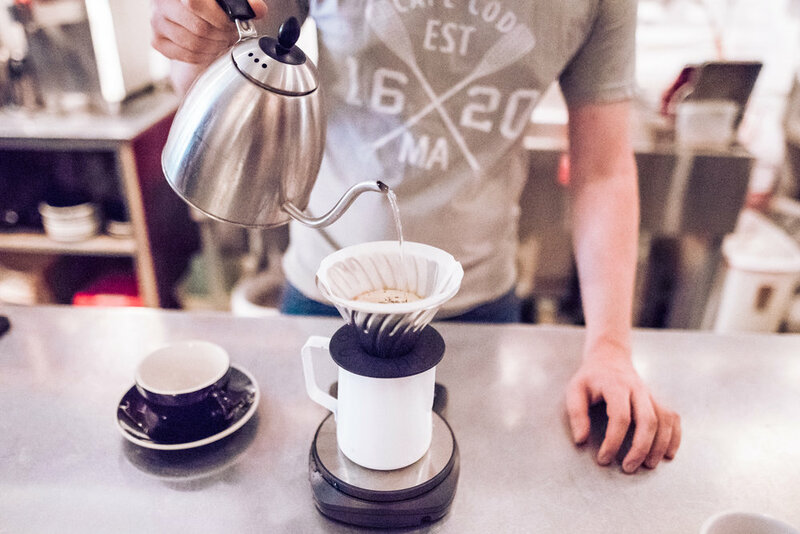 We take manual brew coffee very seriously, as it’s the bedrock of our business, and we want to share it with you.